With the latest TVS-863+ 10GbE-ready Turbo vNAS, QNAP is proposing a centralized solution featuring the latest technologies and integrating new AMD-based hardware with the quad-core embedded SoC which is clocked at 2.4GHz, which is also powered by AMD Radeon Graphics. The system is housed inside a proven mini-tower NAS metallic case, with a LCD screen and buttons in order to perform some actions right from the frontal area. 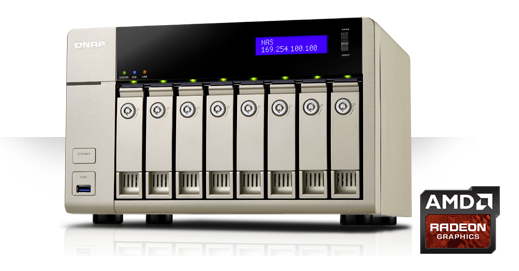 At first we would like to thank QNAP for offering a sample of their TVS-863+_AMD Turbo vNAS for testing and reviewing.